Home Photos 2-3″ of SNOW fell Overnight! See where! By the way, Did Anyone See Where that Hour Went Overnight? 2-3″ of SNOW fell Overnight! See where! 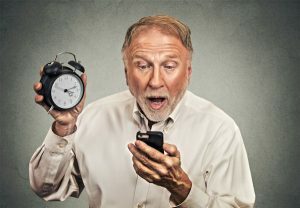 By the way, Did Anyone See Where that Hour Went Overnight? No this is not me! But that was probs the look on my face this morning! I was one of the millions who woke up this morning, looked at my phone and hustled out of bed because I immediately thought that I’d slept in an extra hour. Well I kinda, sorta did as far as the clock is concerned. These “spring forward and lose an hour days” are not my friend. Regardless, we woke up to a bit of snow this morning. I have an inch of fluffy snow on my deck this morning. The forecast was for more than that but like every other storm this season, this one under performed. Cold, dry high pressure in place killed the moisture that came in from the west. The sun is already shining at “fake 9:15am” this morning. The biggest snows that I found this morning were actually over in Brevard, North Carolina (home to Looking Glass Falls) where 4.3″ of snow fell overnight. Asheville received 3.8″. The most snowfall overnight at a SKI RESORT in the southeast fell at Cataloochee Ski Area in beautiful Maggie Valley, North Carolina where they saw 3″ of new snow! Finally Cataloochee gets a break. Appalachian Ski Mountain saw about 2″ of snow, whereas traditionally snow-prone Beech and Sugar mountains saw only .9″ (less than an inch). Strike that – the official CoCoRaHs report shows .9″ of snow, but Beech is reporting 2″ of snow up at the 5506′ elevated resort. (That CAN and DOES happen up there.) Sugar is reporting four times that much – but it didn’t happen. They too saw 2″ or so of fluffy, white snow. A MUCH SNOWIER shot! We did check out the snow atop Sugar Ski & CC and it was around 2″. Man – what a difference a couple of inches of beautiful snow can make! The Aren’t Even Talking About Us With This Next Round of Snow! The actual Nor’easter is still on its way but only God knows if and how much snow will fall. 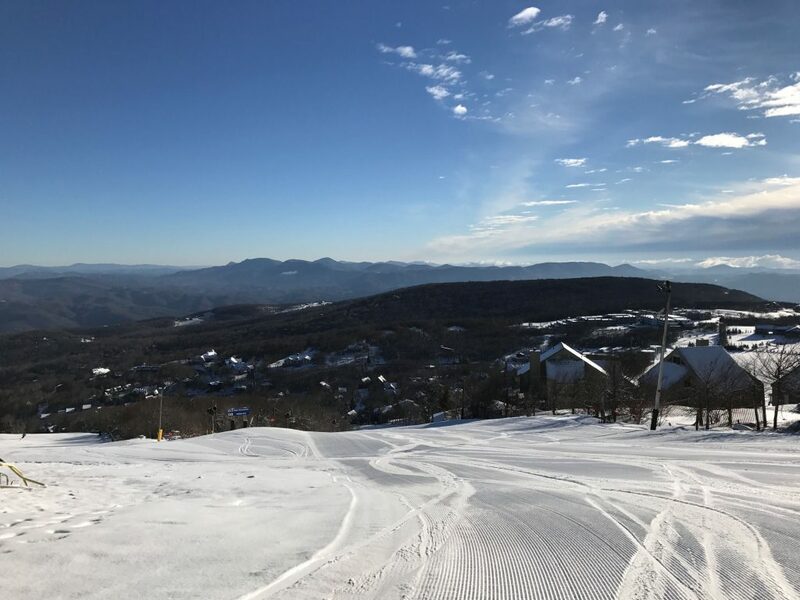 Two days ago it was looking impressive with 3-6″ of potential snowfall for the mountains of western North Carolina and substantially more into the West Virginia ski resort communities. I’m watching the Weather Channel this morning and they are doing their usual, doomsday marketing tactics proclaiming that “Stella theNor’easter will be a crippling storm with blizzard conditions in some areas. Fortunately (or unfortunately depending on your perspective) the “massive” part of this storm will be only affecting the EXTREME northeast. Right now the forecast is for 3-5″ of snow Monday night into Tuesday for the High Country area – with more or less the same or slightly more snow into Tuesday and Wednesday of this week for Snowshoe and the WV ski areas. Another great photo taken by Kenny Griffin off the top of the quad lift at Beech Mountain this morning! Our own Kenny Griffin is riding Beech Mountain this morning and he shared some nice grooming shots. I’m certain that Kenny drove up early expecting and hoping for some powder, but the conditions are great regardless of the lack of this first round of snow. Cataloochee Ski Area – 20° – 3″ of new snow – 7 of 18 slopes open for day sessions. Cat made snow as well. Tube World, located in Maggie Valley, 4 miles from the ski area is now closed for the 2016-17 tubing season. Appalachian Ski Mountain – 20° – 2″ of new snow – 9 of 12 slopes open for day and night skiing. They made snow as well. In fact, they’ve made snow each of the last few nights and they just turn them off during open sessions. App is reporting 1″ of new snow fell overnight although the official CoCoRaHs report shows 2″. Beech Mountain Resort – 12° – 2″ of new snow – 9 of 17 slopes and snow tubing – Day sessions only. They are now sharing that their last day of the season will be March 25th. Sugar Mountain Resort – 16° – 2″ of new snow – 10 of 21 slopes open for day and night sessions. Tubing is open as well. Sugar is reporting 4″ of snow (compared to Beech’s 1″-2″). They’re pushing the measuring stick a bit on this one. The CoCoRaHs reporter at The Reserve is reporting 1″ of snow this morning. A look at their webcam shows good, fluffy snow so we’ll credit them with 2″ this morning. (There COULD have been a flake or two standing on its edge that caught their ruler this morning.) Interestingly Sugar did not make snow these last two mornings. Are they going to end their season early? Good morning Ballhooter! It’s going to be yet another gorgeous day here on the Mountain. Our Silver Creek area closes for the season at 4:30PM today, so be sure to get a few last laps in over there. The forecast for the next several days looks amazing with more snowmaking temperatures, and potential for the biggest snow of the season to date, so keep those snow dances going! NO SNOW REPORTED: Ranked by slopes open. Winterplace Resort – 19° – 23 of 27 slopes open for day sessions. Tubing open as well. 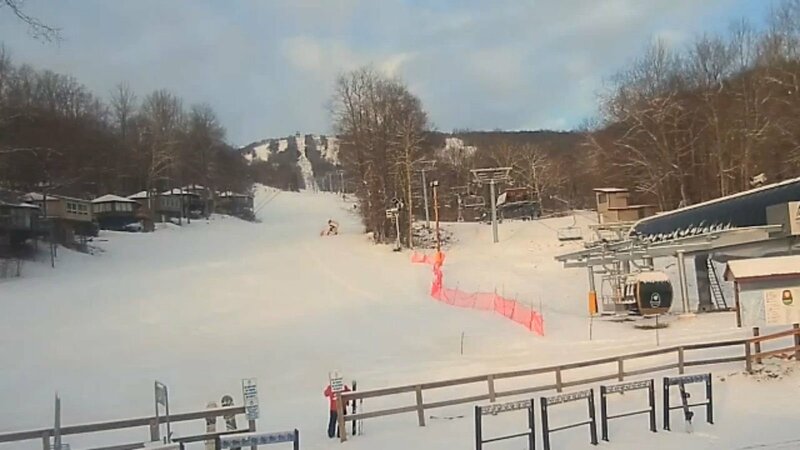 Canaan Valley Resort – 7° – 15 of 47 slopes open for day sessions. Snow tubing is open as well. 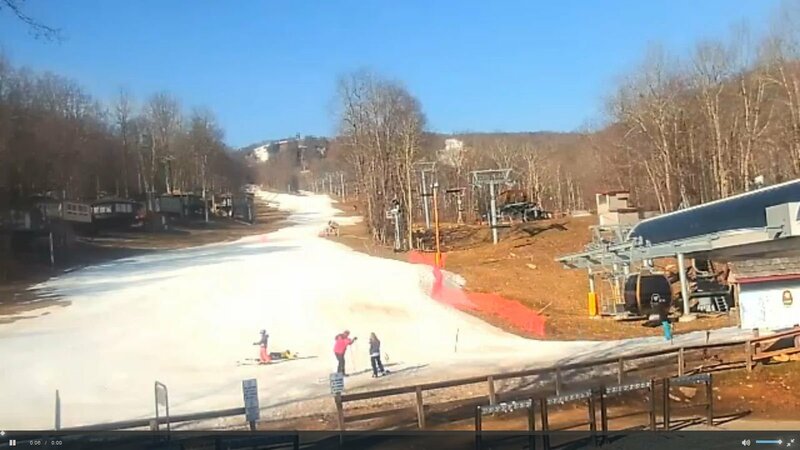 TODAY is the last day of the ski and snowboarding season at Canaan and they will close today with packed powder conditions. Timberline Resort – 10° – 15 of 40 slopes open for day sessions only today. Their base looks really quite deep. Wintergreen Resort – 14° – 11 of 24 slopes open. 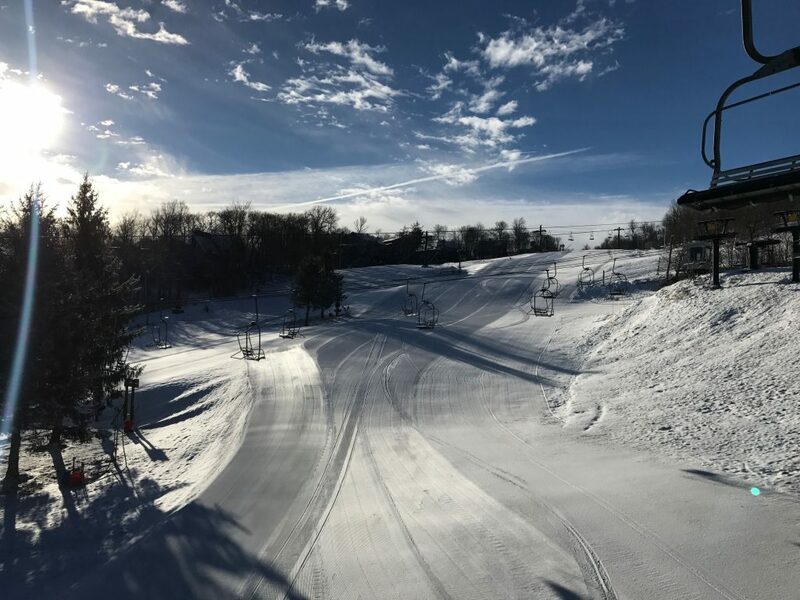 Massanutten Resort – 18° – 5 of 14 slopes open for day sessions. They have 4 lanes of tubing open. Mass announced: Due to the forecasted snowstorm on Monday/Tuesday, Massanutten will be extending our season until March 19. We will be closed Monday March 13 and reopen March 14-19 for daily operations from 9am – 5pm. Given the uncertainty of the storm track, operational hours may change, please check back here or call ahead for updates. Bryce Resort – 18.9° – 3 of 8 slopes open for day sessions. The post 2-3″ of SNOW fell Overnight! See where! By the way, Did Anyone See Where that Hour Went Overnight? appeared first on Ski Southeast. Previous Post Sunday Morning First Tracks at Snowshoe Next Post March 14th Powder Day Gallery from Snowshoe Mountain!